Oh Dear. 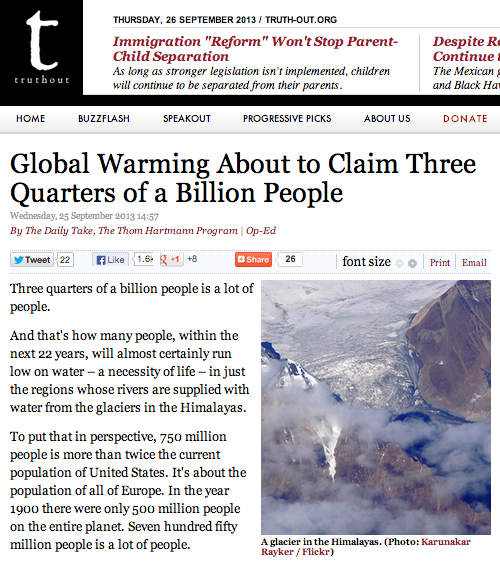 The United Nations’ IPCC are back with another dose of fear-mongering and climate alarmism. The new statement comes after a highly embarrassing, since-retracted claim, that global warming could cause the Himalayan glaciers to disappear by 2035. The claim which featured in the IPCC’s 2007 assessment report (AR4) was sourced from a 2005 World Wildlife Fund publication. Their latest statement, on the eve of the release of the newest edition of the ‘climate bible’, is of truly Himalayan proportions. 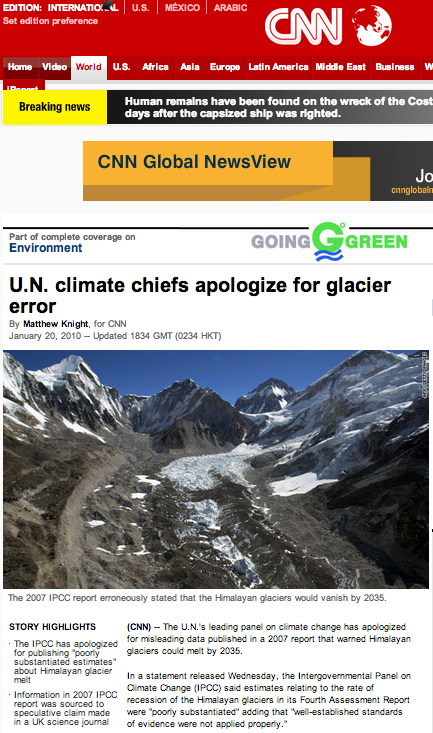 (CNN) — The U.N.’s leading panel on climate change has apologized for misleading data published in a 2007 report that warned Himalayan glaciers could melt by 2035. Fast forward to 2013, on the eve of AR5’s release, and the IPCC Himalayan alarmists return! 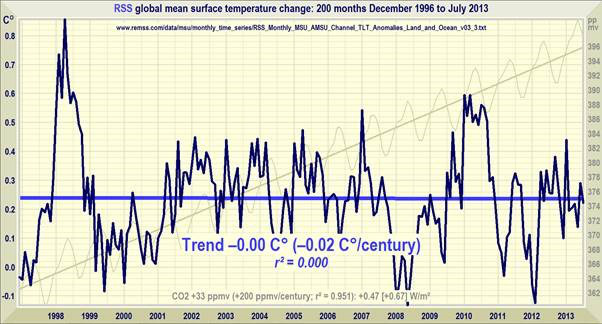 Does the IPCC have no shame? Have they not learnt from past mistakes? Or are there simply no limits to climate alarmism and fear-mongering when it’s all for a good cause? 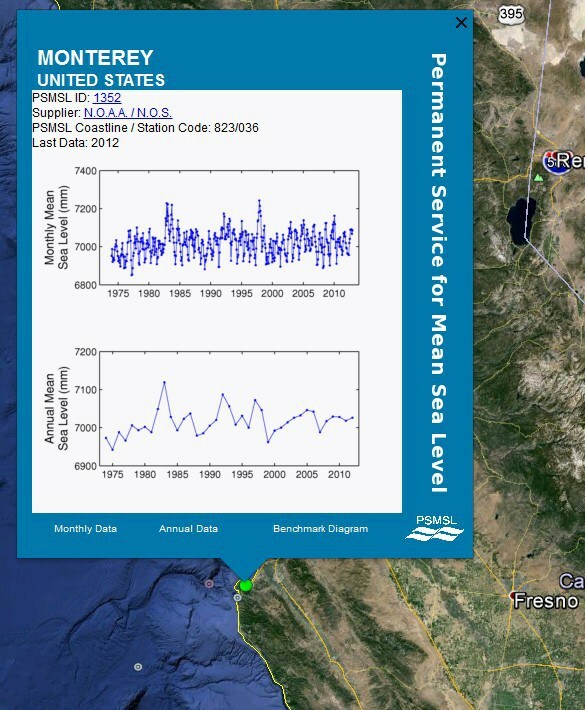 Ice capades – Some Himalayan Glaciers Growing, study suggests a negative sea level rise adjustment | Watts Up With That? IPCC admits error on Himalayan glacier melt fiasco | Watts Up With That? Told ya so…IPCC to retract claim on Himalayan Glacier Melt – Pachauri’s “arrogance” claim backfires | Watts Up With That? 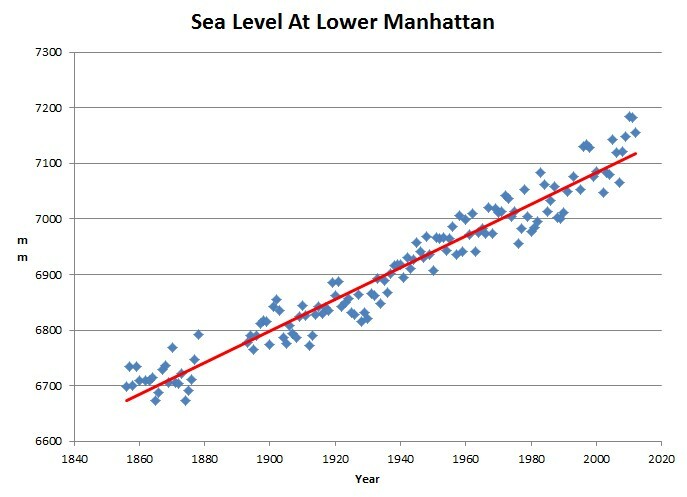 On hundred fifty years of tide gauge measurements in lower Manhattan, tell us that humans neither accelerate nor slow the rise of the seas. According to satellite measurements and peer-reviewed science, for 16 years and 9 months, there has been no Global Warming at all. Up to 800,000 Germans have had their power cut off because they couldn’t pay their bills. Germany’s renewable energy levy rose from €14bn to €20bn in one year as wind and solar expanded. German households will pay a renewables surcharge of €7.2bn this year alone. Germany has more than half the worlds solar panels. They generated 40% of Germany’s peak electricity demand on June 6, but practically 0% during the darkest weeks of winter. Seimens closed it’s entire solar division, losing about €1bn. Bosch is getting out too, it has lost about €2.4bn. Solar investors have lost almost about €25bn in the past year. More than 5,000 companies associated with solar have closed since 2010. 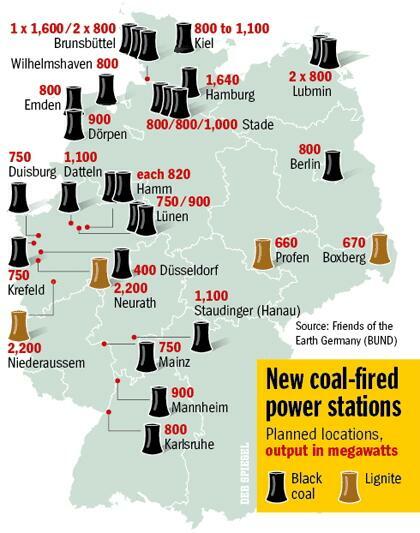 Germany has phased out nuclear, but is adding 20 coal fired stations. Gas power can’t compete with cheap coal or subsidized renewables and 20% of gas power plants are facing shutdown. Despite the river of money paid to renewables, emissions have risen in Germany for the last two years. It’s a case of lose-lose all around, everyone — taxpayers, investors, renewables companies, gas companies — all lost. Waste and stupidity on a colossal scale. Two weeks ago the Czech Government has decided to end all subsidies. Spain owes €126bn to renewable energy investors. In Spain more than 5,000 solar entrepreneurs face bankruptcy without the subsidies. EU leaders now officially list affordable energy as being more important than greenhouse emissions. In fact, the German green revolution has been so successful they have just ‘test-fired’ five new coal-fired power plants with a combined capacity of around 4 GW. And just in case the wind stops blowing or the sun is blocked by clouds of evil man’s 12 parts per million colourless, odourless, trace gas carbon dioxide, rendering their half a trillion €uro investment in windmills and solar panels useless, Germany have another 15 coal plants planned to open by 2020. BDEW, the German Energy Producers Association. Written by Dr. Benny Peiser, GWPF, November 18 2013. But if “King Barack Hussein Canute” and his overreaching EPA have their way, energy prices will skyrocket, just like they have in Germany, Europe and Australia. And if Obama and his overreaching EPA succeed in their quest to de-carbonise America, the “Clean energy economy” will become “an engine of [recession] for decades to come”. 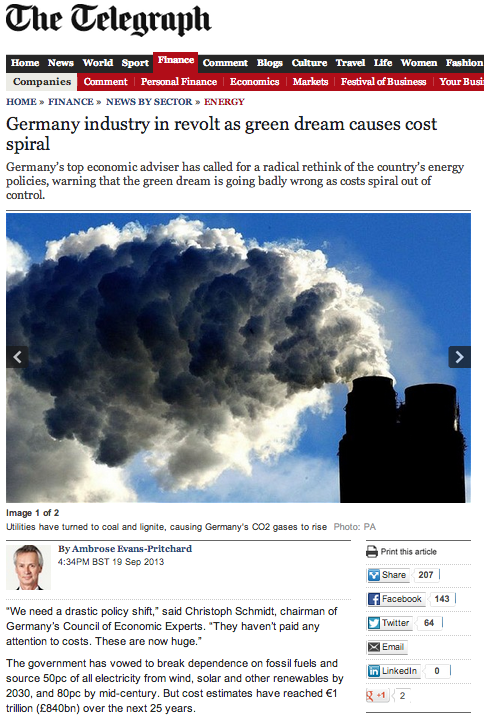 Yesterday I wrote 2 posts on the renewable energies folly in Germany, see here and here. Now the German Chamber of Industry and Commerce (DIHK) confirms the mess with a press release and survey results of businesses and industries. The survey (see right) shows that energy prices and supply risks are threatening the ability of many German industrial companies to compete, and that many are now gearing up to move their operations to friendlier foreign locations. In June, Ofgem released a capacity assessment warning that “risks to electricity security of supply over the next six winters have increased since our last report in October 2012.” The report warned that Britain’s ability to provide spare electric power capacity could plunge to between 2 to 5 percent, about half what it is now. The twisted irony of the most ideologically aggressive ’Green’ nation on the planet, Germany, spending over 1/2 trillion €uros on ‘feel-good’ renewable energy, only to undertake the most aggressive expansion of ‘dirty’ coal fire power in her history! That’s green logic for you. Germany’s Massive Renewable Energy System Puts Out Only 7% Of It’s Rated Capacity in November!